Medi-Cal planning is one of those things that most Californians don’t realize that they need until it’s almost too late. For those unfamiliar with it, Medi-Cal is the California version of the Medicaid program – that joint federal and state program that provides healthcare insurance for low-income Americans. It is one of two government healthcare coverage systems in the United States, and – along with Medicare – provides affordable insurance for millions around the country. Medicare has always had its drawbacks when it comes to senior care. For while it does a wonderful job of providing for seniors’ most basic health care insurance needs, it offers little help for long-term care. Medi-Cal, however, can provide seniors with the coverage they need to address the high costs associated with long-term care. And while Medicare provides only short-term coverage in certain instances, Medi-Cal will pay for care for the duration of the patient’s need. However, there’s a problem that many seniors face. As helpful as the Medi-Cal program can be for seniors who need financial assistance for nursing home care, benefits can be difficult for some seniors to obtain. Often, seniors have managed to squirrel away tidy sums of money, paid off residences, and accumulated other assets of value. Usually, the combined value of these assets is nowhere near what the individual needs to cover the costs of care – but it can easily be more than enough to disqualify that person from Medi-Cal eligibility. Why is Medi-Cal so vital? When is the right time for me to start Medi-Cal planning? How can a California Medi-Cal planning attorney help me? Nursing home costs have skyrocketed in recent decades, with rooms in California averaging more than $90,000 each year. Seniors seldom have the means to pay for this care on their own, especially if they anticipate a stay lasting more than a few months. Seniors who used their own assets to pay for care would routinely find themselves impoverished in short order, reliant on government benefits for their survival, and left with no financial legacy to leave for their loved ones. Medi-Cal planning is designed to help seniors avoid that impoverishment by providing a strategy that uses trusts and other legal tools to remove assets from Medi-Cal consideration. This strategy can preserve assets by removing them from the senior’s estate. Then, when Medi-Cal calculates eligibility to determine whether the patient can receive benefits, those assets are ignored. That sounds simple enough to most people, but the process is anything but easy. In fact, if life were that easy, then seniors could just transfer their wealth to their adult children and trust that the money would be used to benefit them as needed. The reason legal strategies like living trusts are necessary is that Medicaid law empowers Medi-Cal to review all transactions that were made for the 30-month period preceding any benefit application. Under that 30-month rule, Medi-Cal can look back at your prior asset transfers and count them as assets when calculating your eligibility. The program can then deny you benefits and assess a penalty that will make you ineligible for any Medi-Cal benefits for months or even years to come – with the exact penalty based on the value of any improperly transferred assets and the average nursing home monthly cost. San Jose Medi-Cal Planning Attorneys can give you the guidance and assistance you need to avoid those complications, while ensuring that you receive the benefits that you need to cover the cost of long-term care. While there are strategies that can be used in an emergency, most experts recommend that you use Medi-Cal planning as early in life as you can. The fact is that none of us ever know what the future holds from a health standpoint, and people do sometimes end up in need of long-term care earlier than they would have ever dreamed possible. Because of that 30-month look-back provision and other complications that can arise when you wait until your need for care is immediate, it is always best to start your planning early. That gives you the time you need to make transfers without fear of penalty. An experienced California Medi-Cal planning attorney can help you to secure your future benefits while protecting your assets from nursing home costs. 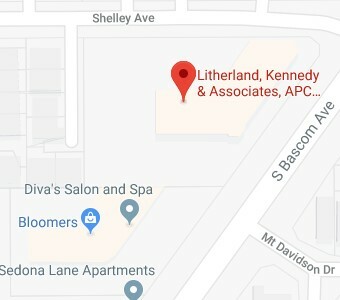 At the Litherland, Kennedy & Associates, APC, Attorneys at Law, we understand how difficult it can be for many seniors to qualify for the Medi-Cal benefits they need. That’s why we work closely with you to evaluate your situation, and devise the best strategy to protect your assets even as we help you meet those strict income and asset guidelines. Nursing home costs are rising, and there’s no time like the present to begin your effort to prepare for Medi-Cal eligibility. To get the Medi-Cal consultation you need, contact us through this website or give us a call at (408) 356-9200 in Campbell or (831) 476-2400 in Aptos today.